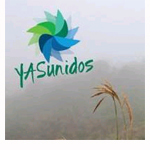 The Ecuadorian environmental defence organization YASunidos has joined with Acción Ecológica and the indigenous pastorate of Chimborazo to file a legal action to protect the rights of nature of the Tangabana páramo – rights that are enshrined in the Constitution of Ecuador – in relation to a vast plantation of pine trees established in 2013 in the fragile evergreen forest and parámo grassland ecosystems of Pallo-Tangabana, in the Andes high mountains. The plantation is opposed by the vast majority of local population, with the support of organizations of indigenous peoples and communities in struggle, who are those who know the most about (and depend the most on) the fragile Andean mountain ecosystem. Scientific studies have demonstrated that the impacts of pine plantations on the water cycle and soil acidification are reason enough to prohibit plantations in this region, since they represent a violation of the rights of nature to exist, to vital cycles like the water and carbon cycles, and the right of the páramo to natural restoration. Ecuador is the only country in the world that legally recognizes the rights of nature. This legal action is the first of its kind in the world, as it considers the Tangabana páramo a subject of rights and seeks the direct application of the Constitution for the defence of nature and the communities who depend on it. The opponents to the plantation are also opposed to its owner profiting from it by reasoning that pine plantations are “carbon sinks” in order to sell carbon credits.